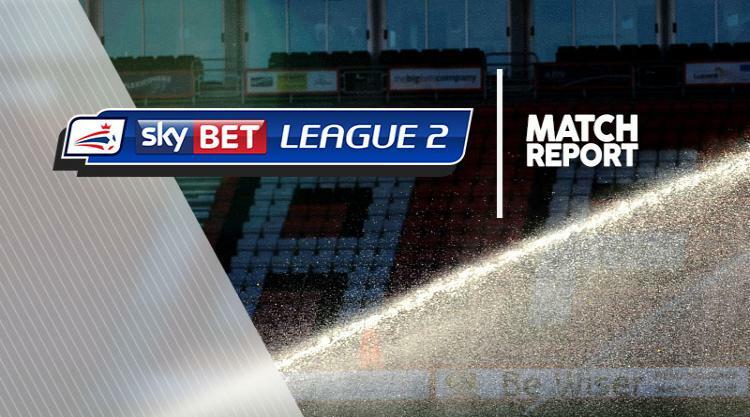 Luton secured their place in the Sky Bet League Two play-off spots with an emphatic 4-1 win at Accrington. James Justin's first senior goal, an own goal from Omar Beckles and further strikes from Isaac Vassell and Jack Marriott secured victory for the promotion-chasing Hatters. Stanley, who briefly levelled through Matty Pearson, saw their own top-seven hopes ended by the defeat. Luton's Alan Sheehan forced goalkeeper Marek Rodak into a superb one-handed save on 26 minutes but the Fulham loanee could not stop 19-year-old Justin two minutes later as he raced onto Ollie Palmer's ball and fired into the bottom corner. Stanley equalised when Pearson headed home his ninth goal of the season from Sean McConville's 39th-minute corner. A comedy of errors gifted Luton a second when Stanley defender Beckles headed back to Rodak and it looped over the keeper and into the net four minutes into the second half. Striker Vassell made it 3-1 when he stretched at the far post to fire home Palmer's cross on 54 minutes. Substitute Marriott completed the scoring in injury time, racing free and firing home to end Stanley's unbeaten home run in 2017.